There were various reactions of International Superstars BTS during the 2018 MMA that left K-pop fans stoked. 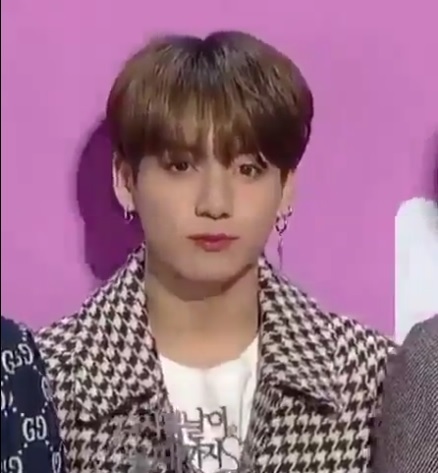 South Korean Boy Band, BTS has racked several awards at the 2018 Melon Music Awards held in South Korea on December 1, 2018. One of the most iconic reactions was when V and Jungkook dabbed after the acceptance speech for the Kakao Hot Star. The boys were also reacting positively to the performance of other idols. BTS members were also obviously delighted with the little girl dancing to various k-pop songs. Taehyung was smiling gleefully as the girl expertly danced to the tunes. 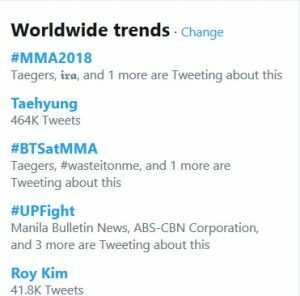 For this “Taehyung” trended at #2 on Twitter and #BTSatMAMA trended at #3. Earlier they swept the red carpet with their awesome fashion styles, tagging them as the best influencers for the night at the MMA. Refresh the page now and then to find out more about BTS’ awards on thee 2018 Melon Music Awards (MMA). 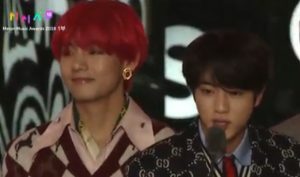 That’s V and Jin, NOT J-hope! Oh, thank you. I stand corrected. fam.